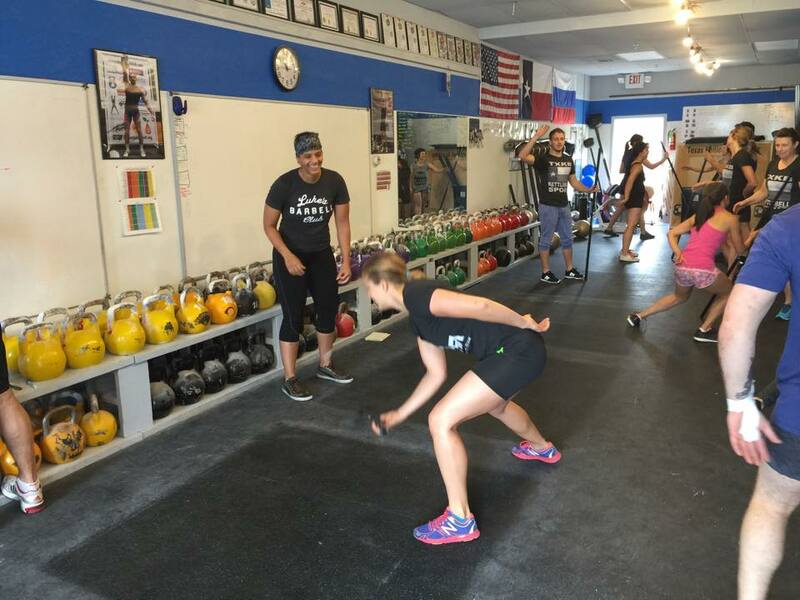 Are kettlebell workshops with Russian coaches worth the money? Honestly, I've always been skeptical about paying to do a workshop with Russian Kettlebell Sport athletes and coaches. First of all, I have the idea that some of them think it's their way or the highway - meaning they only teach their specific technique, even if it's not applicable to your body type and lifting style. Second, many of said Russian athletes and coaches don't speak English. There have got to be aspects of their seminars that are lost in translation - no matter how good the translator is. Third, I am good at teaching what I know through experience - not what somebody else knows. I believe my experience lifting kettlebells will do much more in helping me coach others than being shown specific training models that work for the top athletes in the world. These were my preconceived notions going into the workshop with Sergei Rachinski and Sergei Marasanov that I signed up for after the Texas Open Kettlebell Sport Championships in May. I'm going to review what I learned from the Sergei's, and how my feelings about the three points I discussed above have (or haven't) changed. I didn't learn anything new with regards to technique. While we fine-tuned some aspects of the jerk and the clean, it was nothing I hadn't heard before. Obviously, this is my personal experience and interpretation and doesn't mean you won't learn anything about technique from going to Rachinski's workshop! There was definitely a lot of storytelling from Sergei Rachinski, about his experience, particular athletes he has come across in the sport, and top Kettlebell Sport lifters. While I found these anecdotes interesting and worth hearing about, they took up more time than I felt was necessary. As a coach for a sport that requires very specific types of flexibility, I'm always on the prowl for mobility exercises that will help my athletes lift more comfortably. Sergei M. introduced some fun drills that you don't even realize are really working on functional mobility! Sergei M. has also been coaching me on my skin the cat and other fun core moves, which has helped my lower back loosen up after kettlebell training sets. I was pleasantly surprised to hear Sergei Rachinski talk about how different techniques work for different people - that there is no one right way to lift in Kettlebell Sport. While I already know this based on my own experience, it was nice to know that he feels the same way. Rachinski encouraged us to test out techniques to see if they work on an individual basis. Preconceived notion #1 was false. I definitely feel there was a lot lost in translation. Don't get me wrong, Sergei M. did a great job translating, but it's not the same as being able to know exactly what Rachinski said. Especially during the sets when Rachinski was walking around watching us lift, he couldn't really give us feedback - it would have been nice to get some specific pointers on my lifting. Preconceived notion #2 was true. During the programming section of the workshop, Rachinski talked a lot about workouts for athletes like Denis Vasilev and Johnny Benidze. While it was certainly enthralling to learn exactly how these guys train, I was hoping for more guidelines on general programming for sport - something for us mere mortals that aren't at Vasilev and Benidze's level! I did ask this question, and Sergei M. said everyone is looking for a one size fits all "magic formula" for programming when there is none, and he's right... still, I would have appreciated programming advice more applicable to the level of the athletes I am coaching. I'm split 50/50 on preconceived notion #3. So there you have it - my honest opinion on attending a workshop led by a Russian coach (and an honored one at that). Did I enjoy attending the workshop? Yes, very much! Would I do it again? Maybe. I think I learned more from doing a GPP workout with Rachinski the day after the workshop - seeing him in action and completing one of his workouts was very cool, especially because I finished before he did (okay, I might have been lifting 20kg less than him, but I'll take my victories where I can get them!). 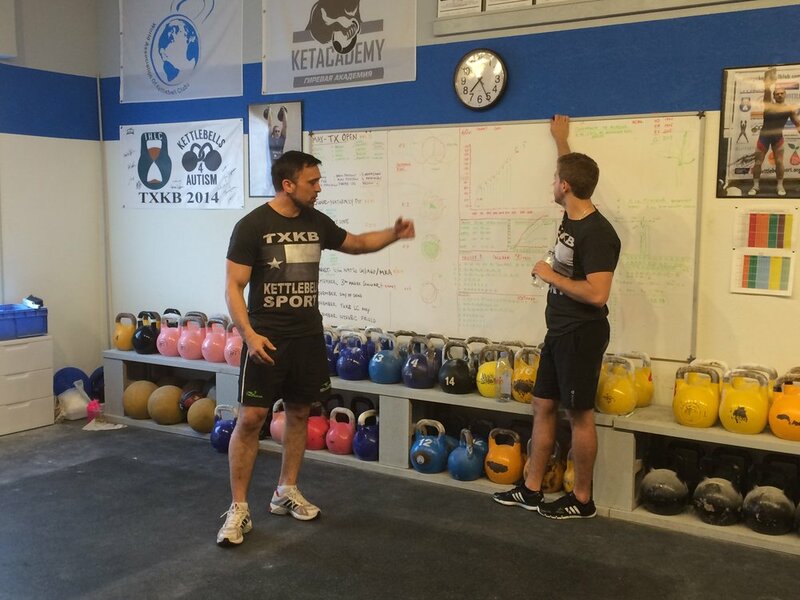 Have you taken a workshop with a Russian Kettlebell Sport coach or athlete? What are your thoughts?